Melbourne’s metropolitan office market has kicked off 2015 with a bang following yet another record year of sales totalling more than $1 billion, according to new research. Colliers International’s latest Metropolitan Office Research & Forecast Report, Dial for Demand: Enquiry for Metro Assets on the Rise, found last year was a record in terms of calendar year sales volumes in the Melbourne metro office market, with just under $1.1 billion worth of sales recorded. “To put this in perspective, this figure is slightly above total sales volumes for 2012 and 2013 combined,” Colliers International National Director of Investment Sales Peter Bremner said. [tweet_dis]Suburban office sales above $5 million skyrocketed to an all-time high of $1,053,000,000 in 2014. [/tweet_dis] This is a substantial jump on the $607 million worth of metropolitan assets sold during 2013, which was also a record high at the time. [tweet_box]“Demand is always strongest in the city fringe region where yields are lowest and capital values rates highest"[/tweet_box]. Buyer activity was especially prevalent in the City Fringe region, where 41 percent of the 53 deals occurred, followed by the Outer East region were 23 per cent of sales occurred. Over 55 per cent of assets were sold to private investors, however in value terms, these investors accounted for 35 per cent of total sales volumes. Their purchase of higher priced assets meant that while institutions (both domestic and offshore), only purchased 13 per cent of assets, the total value of these assets added up to almost 42 per cent of total annual sales value. The healthy result was boosted by significant sales such as the ATO premises in Moonee Ponds for $83 million, the TAC premises in Geelong for $95.8 million (the largest single metro asset sale for 2014) and the Bennelong property portfolio in Hawthorn and Camberwell for $96.75 million. “The purchaser profile overall was very diverse, with both private investors and owner-occupiers very active as is commonly seen in metropolitan markets,” Mr Bremner said. “However, 2014 also saw the emergence of institutional buyers, such as 360 Capital and Growthpoint, overseas buyers such as Cyberra Investments, and developers in Melbourne’s metropolitan market. “We remain very optimistic about the year ahead and, with continuing low interest rates and emerging buyer groups like institutions, overseas buyers and developers re-entering the market, competition for quality stock will be high in 2015. “The majority of 2014 deals happened in the second half of the year and the momentum has shown no signs of slowing early in 2015, with over $140million worth of sales recorded or in due diligence in January alone. Colliers International Associate Director of Research Anneke Thompson said the leasing market also performed well in 2014, with the vacancy rate decreasing from 7.6 per cent in September 2014 to just 6 per cent in March 2015. “This is the lowest vacancy rate recorded since September 2011, when vacancy was a touch lower at 5.95 per cent,” Ms Thompson said. 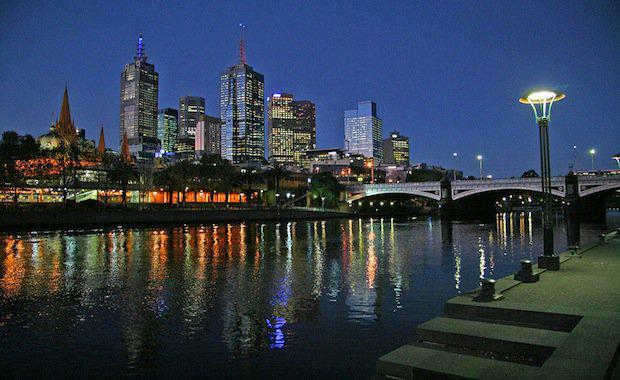 “Prior to this, the Melbourne metro office market had not seen vacancy rates so low since prior to the GFC. “The declining vacancy rate was due to take up of some large blocks of vacancy, particularly in the Inner East and City Fringe.